Radio targets audiences efficiently because different stations attract different listeners. This allows advertisers to talk selectively to the groups they are most interested in. Added to this is radio’s local structure, which means that brands can focus their activity very effectively onto key market areas. Most radio listeners are engaged in another activity, and this means that advertisers can reach listeners at key ‘touchpoints’ – when they are on the school run, surfing the internet, before going out on Friday nights, and so on. And now that radio can be heard on mobiles, on the internet etc, these touchpoints are becoming even more widespread. Research shows that advertising which is relevant to a listener’s other activity is over 60% more likely to be recalled. Radio’s way of multiplying the effect of other media is a feature of multi-media research studies. Radio’s multiplier effect seems to originate in the fact that it is an audio-only medium, and therefore stimulates a different part of the brain. In the same that radio stations create chart music success, they create a sense of ubiquity for a brand. 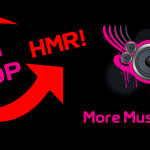 This is for two main reasons – firstly, because radio ads are on frequently and secondly because listeners tend to spend so long listening (on average 14 hours per week). An advertiser which is big in radio can create a disproportionately large share of mind for itself for low entry level. Radio has always been a strong ‘call-to-action’ medium, and this is even more true in a world where consumers access brands via the internet. Recent radio and internet joint research revealed that at any given time a fifth of internet surfers are listening to radio – so they are a click away from interacting with a brand. Listeners use radio for emotional reasons – to keep their spirits up, to stop themselves from feeling bored in a car or isolated while doing daily chores. This leads to them seeing radio as a kind of friend, and this is a valuable context for an advertiser to appear in. It is even more powerful when advertising extends through into branded content – sponsorships & promotions. When a radio station presenter talks about ‘our friends at Company X’, the listener is hearing about a friend of a friend – this has a strong effect on bringing a brand closer.